When Nick invited me to guest guide somewhere warm last winter, Indonesia was not on my radar. True as a student I had been fascinated by Borneo, but that was years ago, before the internet and the web, when I imagined Borneo as inhospitable with head hunters who might want me for more than my managerial skills. 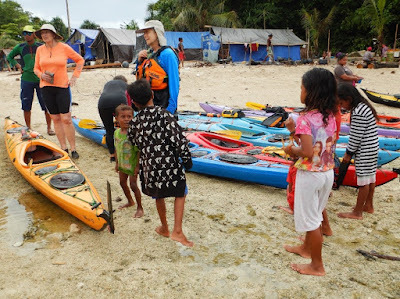 But Borneo is a thousand miles from West Papua, the part of Indonesia where Nick kept his kayaks. I searched for a map of Misool, for tourist information, for anything about Misool on the web, and found very little, except for some glowing references to the richness of the underwater wildlife. I learned about fish and corals, but little above water level. I failed to find a map to take. Agreeing to go, I placed myself very much in Nick’s hands and those of his Indonesian kayak guides. With no definitive map, the place names we used were the names Nick had come up with for his own reference. If I needed more, I’d have to make them up. Nick is an explorer, happy to push his way through thorny jungle fending off dengue fever and malaria, tackling mosquitoes with a machete and a tough skin. He rarely pauses except to wonder what lies over there, before going to find out. 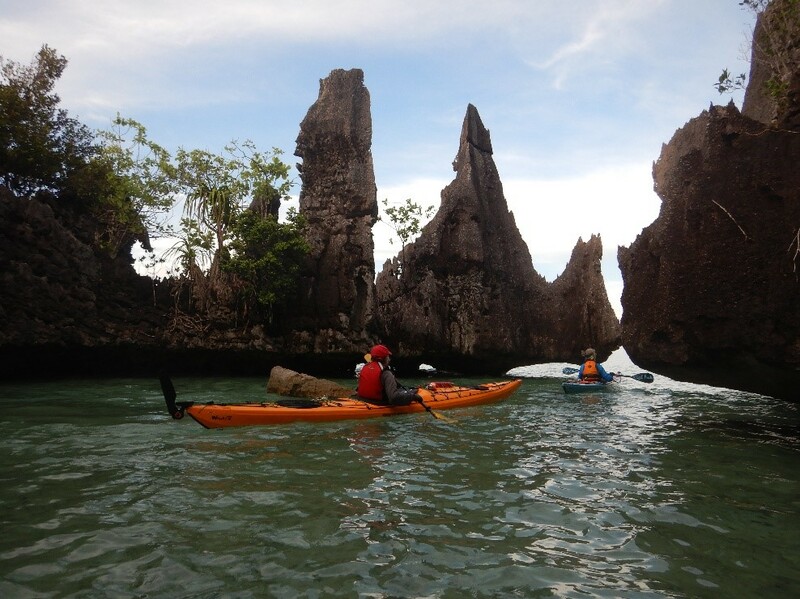 He visited some amazing places, then his globe-trotting paused here when he realized its great kayaking potential. Nick established his company, Millekul Adventures, to introduce adventurous people into places like this. Here the fantasy land of Christmas tree shaped rock stacks and Tolkienesque mazes, with hilltop viewpoints and ancient references seemed perfect for his needs. 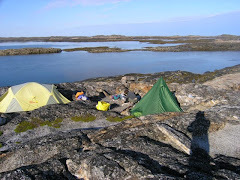 Except with few possible places to stay, and with any rare hidden beaches which might otherwise offer camping guarded by local clans, he set about meeting people and learning. From Sorong in West Papua we caught the Express Ferry direct to the Raja Ampat island Misool. It was early in the year, the ferry crowded with passengers and loaded with cargo that had been carried on board by hand across the decks of two ships moored between the ferry and the quay. The only respite from humid heat was a small back deck, from which we watched the wake reveal where we had been. 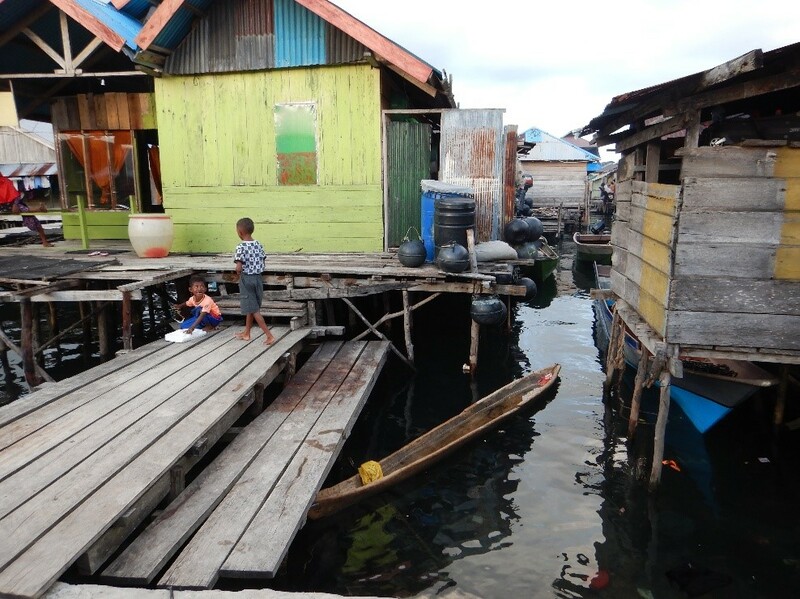 We scrambled ashore at a village on Misool, passing bags and supplies hand to hand along our human chain to pile them on the wooden dock, a place alive with children and adults alike carrying boxes of goods away as soon as they were thrown down from the high deck of the ferry. Wooden walkways led from the dock into the town, a maze of small houses on stilts above the shallows. Outriggers and dugouts floated or wallowed awash underneath. Our boatmen methodically loaded all our supplies in just a few minutes, and we climbed down into a long, narrow blue and red painted boat. Speeding away, we were soon soaked to the skin in salt spray as the daylight faded. Our destination was the island where Nick had his kayaks. Impressions of Misool soon overloaded my senses. There was the heat and humidity, day and night, coral beaches and turquoise seas, rainbows, the call of strange birds. There were turtle tracks up the beach and an intimidating northern cassowary. In the evening the wonderful flavor of unfamiliar fish cooked with spices from nearby islands. Such spices in Europe once cost more than their weight in gold. 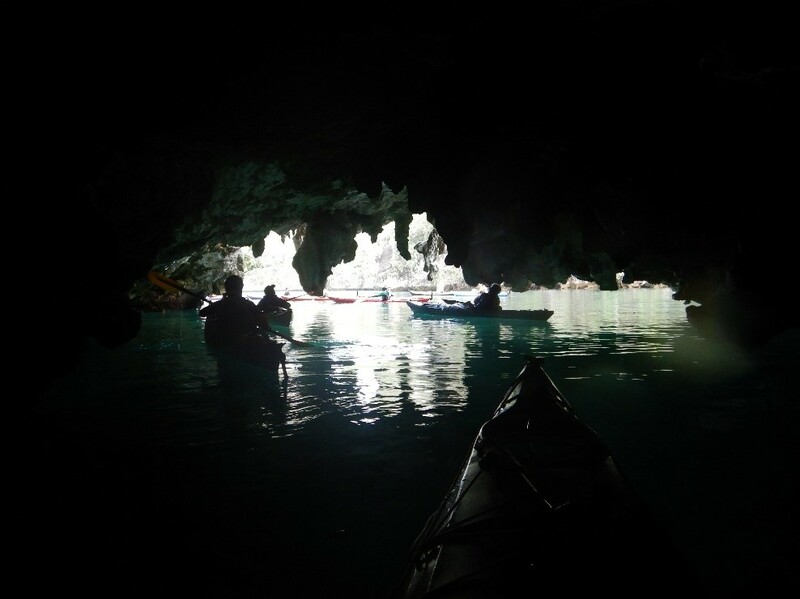 As the kayaking trip unfolded there was the karst scenery, towering islands of grey limestone so eroded by the carbonic acid in rainwater that every edge of the pocked surface had been honed sharp as a blade, every finger-hold like a needle. Tucked into the myriad rock pockets and holes were plants, leathery green leaves of orchids in flower, and pitcher plants dangling down the faces. 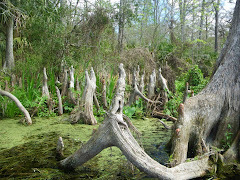 Coconut palms broke the skyline between the crags, mangrove trees flirted along the sheltered shallow water edges. Corals teemed with fish in the warm water above wave-cut platforms, and deep sinkholes dropped into clear dark blue. We cruised the lagoons, rocks and shoals, with the helicopter beat of hornbills and the shriek of sulphur-crested parakeets resounding from the canopy of the jungle-clad slopes. Camping where Nick had negotiated permission, we strung lines and set mesh tents onto palm fronds on the sand beneath lightweight tarps. Every lunch break offered an opportunity to snorkel in the clear water with the corals and topical fish. 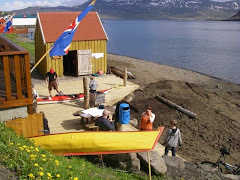 Occasionally we saw a temporary fishing camp with dugout canoes, and long narrow fishing boats with outboards. The fishermen had tied bamboo frames to spread with tough blue tarps to make shelter for boarded sleeping platforms. Threatened by a sudden tropical downpour, we were ushered to shelter with the opportunity to meet locals. Misool, along with Papua and many small islands, sits on the Australian continental shelf. Across a deeper channel to the west, Sumatra, Java and Borneo rest instead on the Asian continental shelf. Darwin’s contemporary, Alfred Russel Wallace, the man who independently came up with a theory of evolution of species, had in the mid-1800s recognized how deeper water between the continental shelves created a barrier to fauna. There was a dividing line between species of animals in the two regions. The line he defined, the Wallace Line, is where he saw species change from Asian to Australian. On the Asian side were monkeys and tigers, on the other marsupials such as wallabies and cuscus. The islands between had a slight mixing where some species had presumably swum from the mainland. But if there was one creature that we spotted more often than another it was the ubiquitous land crab. The largest of all land crabs is the coconut crab, Birgus latro. 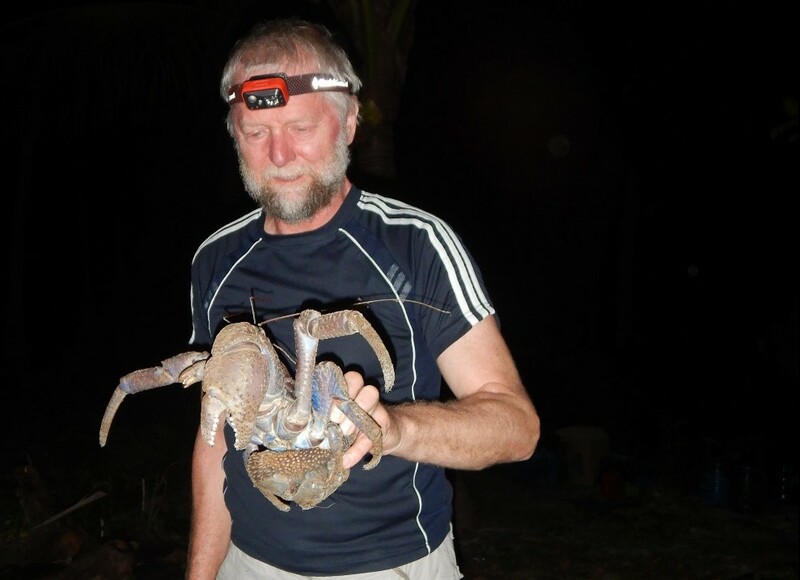 It might easily have been named the coconut crab because of its size. 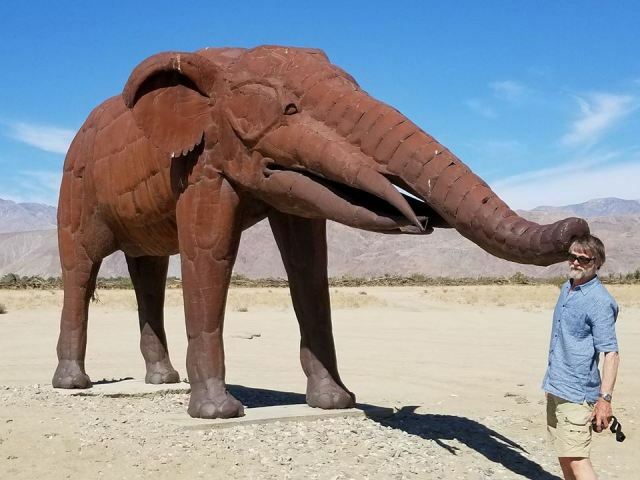 It is large. On the other hand, it has been seen to climb coconut trees dragging a coconut behind it to let it drop to the ground to break it. It also has a powerful claw that can de-husk, open and shred a coconut. Coconut crabs can fall from a tree from 15 feet with no apparent harm. Another name by which Birgus latro is known is the robber crab, so besides avoiding trees with falling coconuts and crabs, it’s always good to keep an eye on your belongings and to close your tent zipper. That’s not only to discourage unwelcome guests, whether mosquito or sheltering land crab, but also because a large land crab can and will, as Brigitte discovered, drag away quite large items such as a nylon pack full of goodies. Sitting on the edge of the Australian continental shelf, this area has surely been visited if not peopled for thousands of years. During the last ice age people could have walked here from what is now Australia. 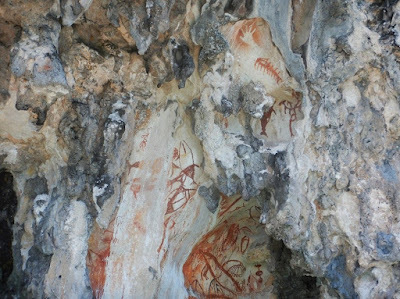 Pictographs survive on the cliffs, scribed in red, dating back 2-5,000 years, protected by overhangs from erosion. Beneath overhangs there’s a visible difference from the sharp-edged karst. It's the mildly acidic rainwater that slowly eats away at the exposed rock surfaces and carries away the limestone as soluble calcium bicarbonate, leaving all the sharp edges. The calcium bicarbonate solution drains away through cracks in the rock to drip from the roof of overhangs, but before dripping, the water degases, freeing carbon dioxide from the calcium bicarbonate and depositing calcium carbonate before the water drips. These deposits build into long stalactites, curtains and organ-pipe formations, smooth as silk with no sharp edges. Of course, water not only drips from overhangs, it also flows together into bedding planes in the rock creating streams that gouge out tunnels and caverns. The rock here is riddled with such tunnels, both miniature and mighty. Exploring caves by kayak and on foot it became evident that each limestone island has become eroded into something like a sponge, full of holes and tunnels. 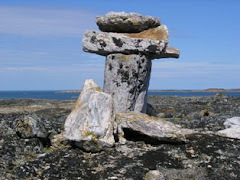 But whereas the outer surfaces of the islands are hot and menacing with sharp edges that can cut skin, the insides are cooler, contoured, smooth and forgiving. Our journey eventually carried us from a sea bursting with shoals of jumping fish, and rained upon by frigate birds, up into a jungle river as far as we could go. 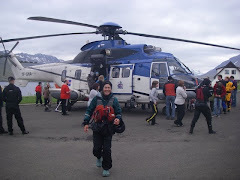 From our highest landing, we explored along hunters’ tracks. Far beneath a canopy alive with birds we heard but seldom saw at ground level, we watched brilliant butterflies and tripped on fallen fruits we did not recognize. 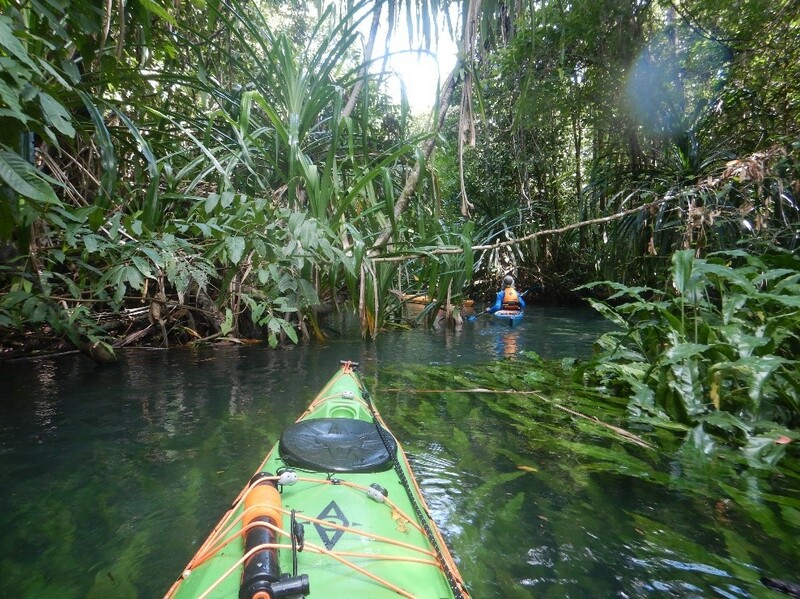 There were stout vines dangling everywhere to swing Tarzan-like over the warm clear blue jungle streams. As night approached, there was the clatter of hornbills flying in and crying from the high canopy, along with tuneful calls from birds we couldn’t name. With the fast falling night came a chorus of frogs and insects, the leathery wing-beats of fruit bats and the flit of smaller bats catching mosquitoes or moths. Here and there we spotted the rising star of a firefly lifting high between the trees, and on the ground the bioluminescent glow from rotting vegetation. Learn more about Misool from Millekul Adventures, where you’ll find a short YouTube video of the kayaking. If you’re interested to join me, Nigel Foster, I plan to paddle there again (contact Millekul Adventures) next January and early February. See you there? Water is a great chameleon, seemingly able to change color in an instant, yet we seldom notice the changes even when we are gazing out to sea. 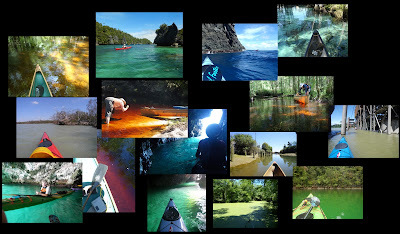 We are so accustomed to seeing the many colors of water that we rarely take note of where these colors come from. So, what gives water its color? When we pour distilled water into a glass it appears clear and colorless. In fact, although it is almost transparent to visible light, it is very slightly blue. That's because other wavelengths of light are more readily absorbed. Red is absorbed first, and next orange and yellow too. Blue and green penetrate through shallower water and blue penetrates farthest.That’s why we commonly see a variety of greens and blues in shallower water, but only blue in deep ocean. Closer to land, plankton (see article for plankton distribution) typically makes the water appear more green or brown. But that’s not the end of the story. China’s second largest river is aptly named “Yellow River” due to the color of the mineral sediment it carries to the sea, and that affects the sea color too over a considerable area near its mouth. Rivers commonly carry silt from runoff, especially when in flood, and this can color the water red, yellow, brown or grey depending on the eroding soil type. On the coast, waves stir up shore sediments that color the water. Not all color is from particles in suspension. Dissolved tannin from vegetation can turn a river blood-red, orange or yellow. In a glass such river water is clear and the color of whisky, or black tea. It’s not cloudy. You cannot filter out dissolved tannin. The red color of tannin-rich water acts as a red filter, filtering out other colors of light including blue. But red light cannot penetrate far into water anyway. Deeper water appears black. Such tannin-rich streams are referred to as black water rivers. The true color of water, very slightly blue, plus what is in it, dissolved or in suspension, still only accounts for part of what we see. Sometimes the surface is colored with a layer or yellow pollen, or with duckweed, so then it is the color of the surface covering we see. At other times the water is clear and shallow, and we see the color of the sand or mud of the bottom. And then there are reflections that blend with or completely hide the colors underneath. A blue sea under a blue sky can turn grey on an overcast day. The color we see is often the color of the sky But you can gaze out over blue water in one direction and turn your head to see the same water appear green with the reflection of a green hillside. Given the water surface is not always flat, those reflections can come from many directions, sending a mosaic of colors dancing across the surface. and they also tackle the multiple worlds revealed when you glance down into the water to see first the reflections of above-water surroundings, then the surface meniscus with floating debris, and below, through the underwater scene to the dancing patterns of light cast by the lens of surface ripples onto the bottom. Water can appear in all the colors of the rainbow. I find it always rewarding to take time to identify where the colors are coming from. For many of us, after the calm of summer come autumn winds, and with the winds, rougher conditions along the coast. This is a time when it’s good to remember that hand in hand with the tumbling surf comes the danger of undertow and rip currents that pull away from shore. Rips are formed by surf when white water tumbles down the face of breaking waves toward shore. That water then escapes along the beach to a deeper channel cutting out to sea through the surf line as a rip current. Beyond the break line, the current dissipates. 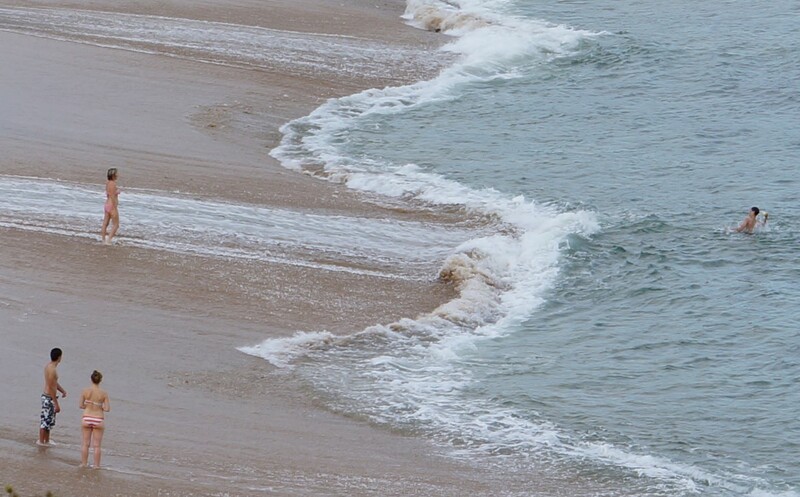 Rip currents are relatively narrow and focused currents, that can flow much faster than a swimmer can swim. The water carried to shore by the surf will drain along the beach until it reaches a rip. You can often feel the sideways pull of this alongshore current against your ankles in shallow water, and by walking downstream locate the rip. If you pass the rip, you’ll feel the water flowing in the opposite direction. Viewed from shore, the rip will appear as moving water with more confused wave patterns than the surf on either side, and with smaller waves. The scouring effect of the current gouges out a deeper channel. As the waves push in and slow against the current, they converge and crisscross and run off to either side, leaving a visibly calmer channel. Rips are most easily seen from elevation. 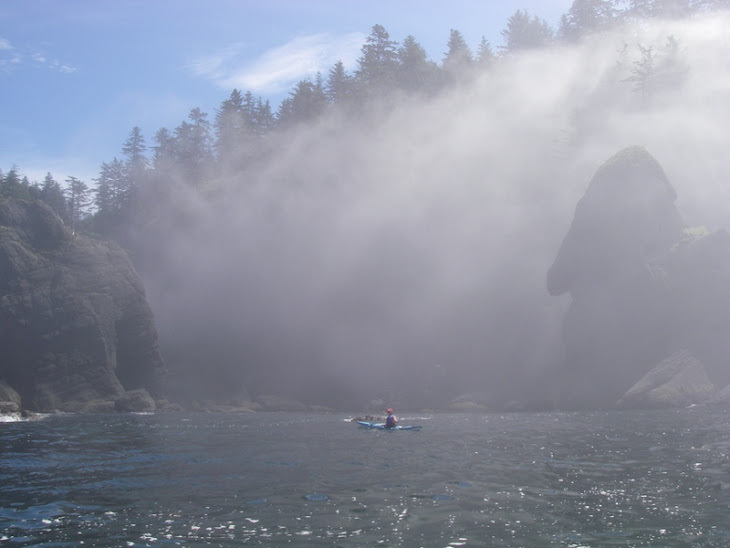 Once you have located a rip, look for landmarks that will help you locate it from the water. If caught in a rip, escape by swimming across the current. Once you are out of the current the surf will help push you toward shore again. You’ll be quickly exhausted if you try to swim to shore against the rip current and if If you do nothing, you’ll be carried beyond the surf, so swim across the current. 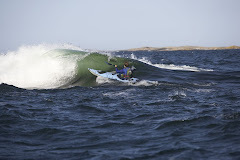 Launching through surf to sea kayak, or to go surfing, the rip can offer an easy way through the break. 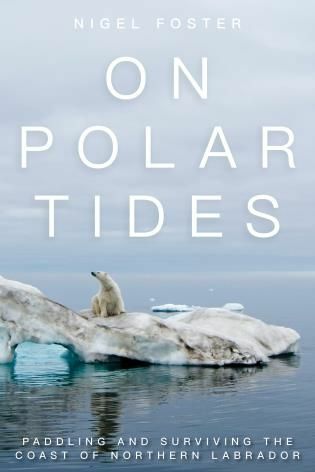 (You can also read more in my book The Art of Kayaking).In a rip the waves are smaller and more broken, and the current will help carry you from shore. The danger is that once you’ve been carried out, you’ll find the conditions more than you bargained for, and have difficulty returning to shore. So, although paddling out against the surf can be exhausting, it’s best to locate and then avoid the rips to start with, at least you know how big and powerful the waves really are today. When battling through waves from the beach between rips, you can easily turn back when you choose, before you meet the biggest waves. If you find yourself beyond the break, waiting for a big set to ride the biggest waves, and you are comfortable with the conditions, then you might consider using a rip to make your paddling out easier. A rip is not the same thing as undertow, although you’ll often find the terms misapplied. 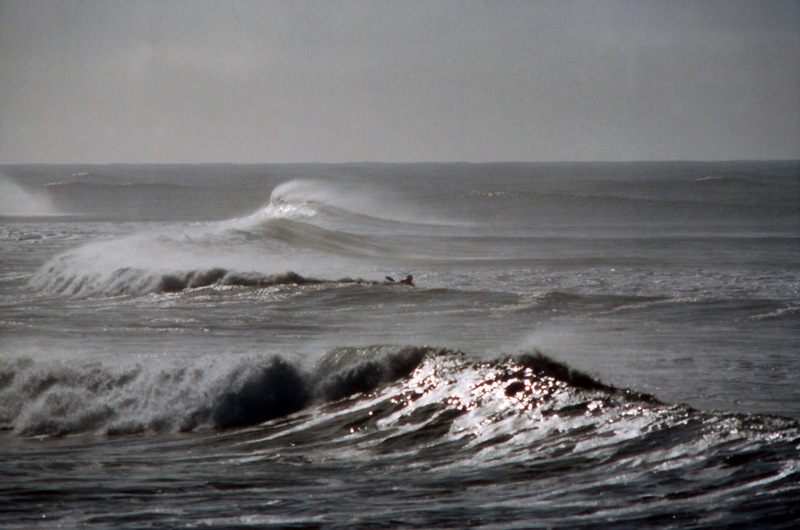 Undertow is caused by shore-breaks, rips are caused by surf. But the two sometimes work together when there is both surf and a powerful shore-break. Undertow is caused by the backwash returning down the beach after a wave has broken. In certain wave conditions beach cusps form as a series of scooped out hollows separated by spurs pointing seaward. 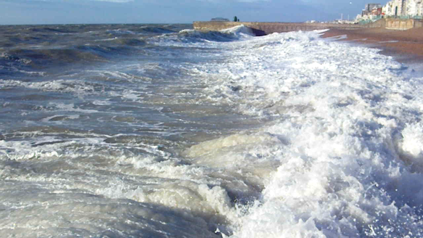 Each beach cusp focuses the power of the shore-break into a tongue of water rushing up the beach which drains back into a narrow channel of rapid water often powerful enough to sweep a person from their feet. This focused backwash drags through the next breaking wave, so it can carry an unwary person beyond the shore-break into deep water. Returning safely to the beach might require outside assistance: for example, a throw-line. When a beach has both a sizable shore-break, and lines of breaking surf, you can find both undertow at the shore, and rips running out through the lines of surf. The undertow can feed a swimmer into current that runs into a rip. The rip can deliver the swimmer beyond the break into ocean current. People swept from a beach by undertow don’t always return. Rips and Undertow are beach hazards. The Rips and Undertow Video Presentation takes about ten minutes and shows more clearly what is going on. If you find it useful, please spread the word, and be safe! 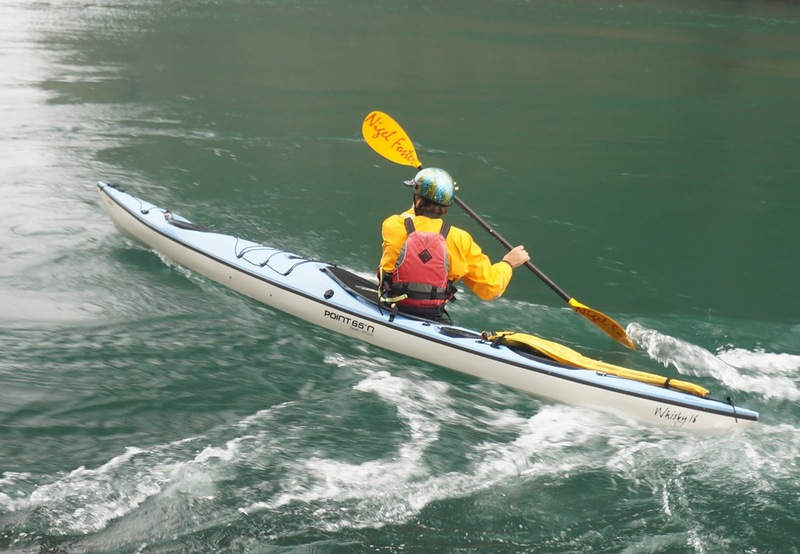 What makes a kayak side-slip? A side-slip is a satisfying smooth sideways glide that makes use of your forward speed. You can use it to approach a dock or another kayak without turning. There are several factors key to success. 2) As you glide forward, position your blade upright in the water alongside your kayak in a neutral position. That is, so it does not grab the water with either the face or the back of the blade. 3) Position the blade a foot or so behind your hip, a few inches away from the side of your kayak. 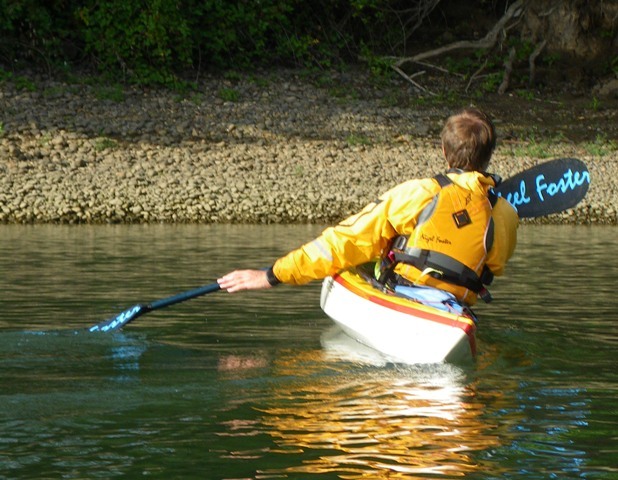 4) Gently engage the face of the blade by rotating the leading edge (the blade edge nearest the bow of your kayak) just a few degrees out from the side of your kayak. 5) Your kayak will do one of three things: slide gently sideways, turn toward the paddle, or turn from the paddle. If it turns toward your paddle (as in a bow rudder) move your blade back. If you turn from the paddle (as in a stern draw) move your blade forward until you eliminate the turn. 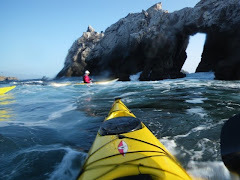 6) Once you have found the perfect blade position for a side-slip, you'll notice that as your kayak loses forward speed it will begin to turn from your paddle. This will occur because your center of turning will move forward as your kayak slows. To prevent the turn, gradually move your blade forward toward your hip as you slow. The side-slip is a draw stroke. If you start from standstill to draw sideways, you place your blade and pull your kayak toward it until the blade reaches your hip. When you are moving forward your center of turning/pivot point moves back, so you must position your blade behind your hip for the side-slip and move it gradually forward to your hip as you slow. To make a side-slip work in reverse, begin with your blade forward of your hip and gradually bring it back as you lose speed. You'll need to open the blade toward the stern by rotating the leading edge of the blade away from the hull by a few degrees. The leading edge when you reverse will be the edge nearest the stern. 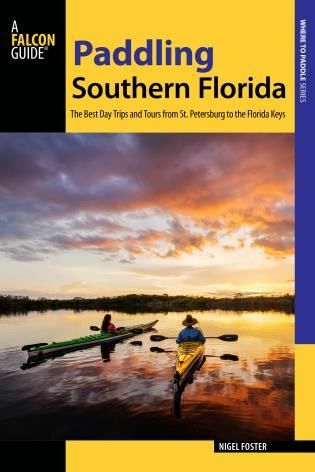 You'll find more detail in my book "The Art of Kayaking"
Labels: canoes, alligators, monkeys, silver river Side slip in a kayak. 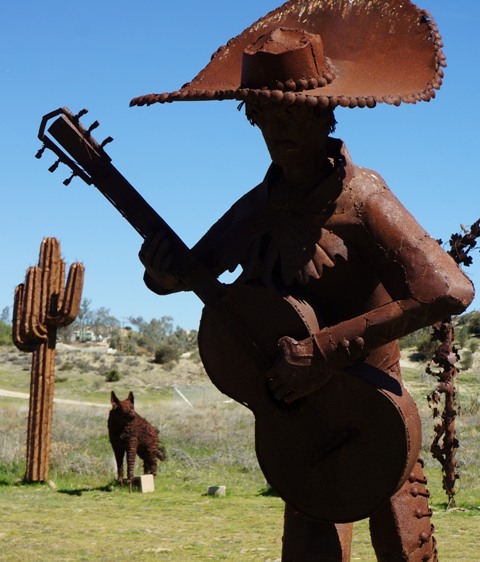 Music breathes softly through the cracks between the spot welds of Ricardo Breceda’s magnificent desert sculpture as the hot breeze fills its cavernous body. In its escape, as from the bellows-filled bladder of Northumbrian pipes, the air makes music. Music is not the main purpose of Breceda’s sculpture, but as I move through the desert to stop at each massive monument I can hear the breeze playing across the surfaces. The sounds remind me of the diverse water songs I hear in my more usual environment paddling kayaks and canoes. Many of these sounds I create myself as I strive for efficiency. 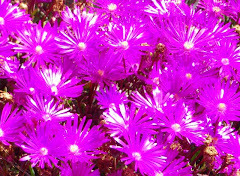 Maximum effect for minimum effort plays its own tune, a different one from maximum effort with indifferent efficiency. There’s the rush of water when I pull too hard and my blade drags through the water losing traction. 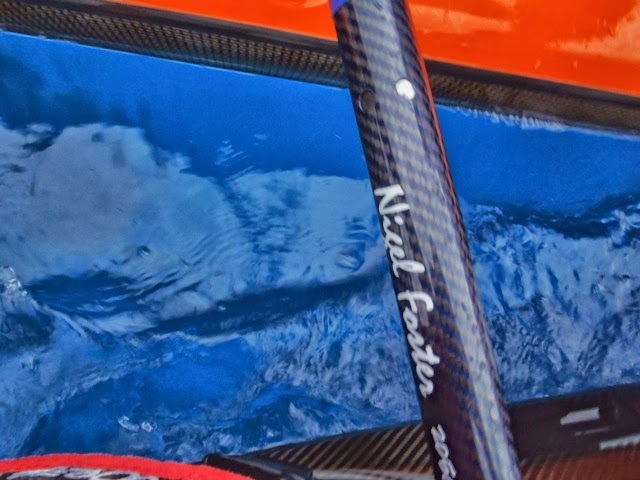 There’s the quiet “sip” sound when I slice my canoe blade edge-first from the water after a stroke, a sound I hear from my wooden blade but not from my carbon one. There’s the plop of blade entry when the trajectory is poor. A carved turn sounds different from a skid turn, an efficient stroke sounds different from an inefficient one. The slap of kayak against wave subdues when I tune from out-of-sync to in-sync paddle strokes. When I listen I can hear these water sounds like the song between the metal plates of the desert sculptures, but it’s easy to miss their significance when there’s a lot going on. It's better to start listening on a quiet day. 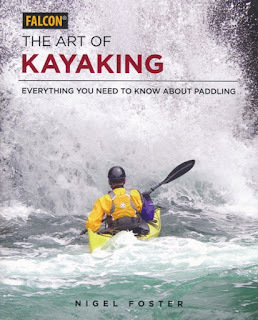 Nigel Foster's newest book "The Art of Kayaking" explores how to get maximum effect for minimum effort, and this mantra has influenced his kayak and paddle designs. My mantra is to achieve the greatest effect with the minimum effort. I find efficiency seductive but to best achieve this I need to start again with the basics. Efficient paddling makes use of the body’s most powerful muscle groups to do the bulk of the work powering the kayak, with good posture ensuring the most effective alignment for performance. I also try to maximize the traction from my paddle in the water so I can power forward or make smooth turns without wasting energy. 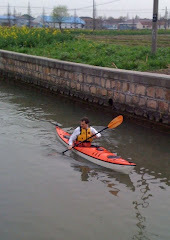 I want to make my kayak move forward; I don’t want to use my energy to move water. 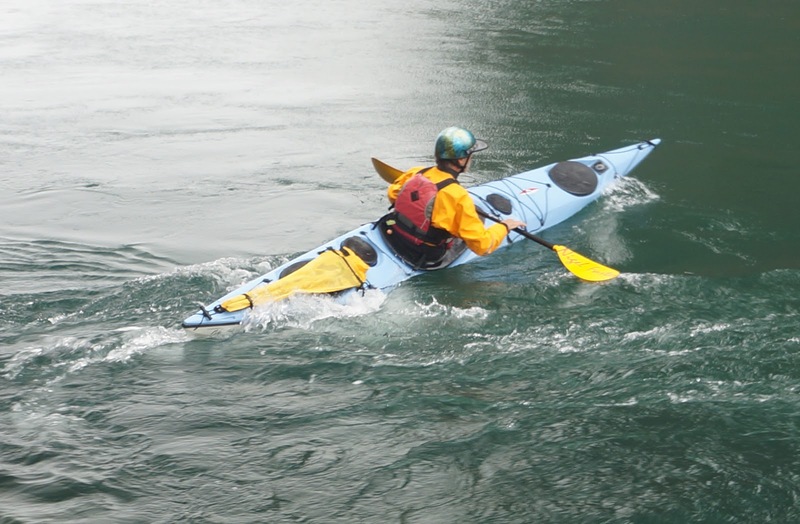 Science can explain how a kayak moves through water, why it might turn more easily when held at a particular angle or why different turns can be more effective when you lean forward or back. It’s not like rocket science, where you need a huge thrust of energy to push you into space, and complex mathematical equations to navigate to a far off planet. Instead it’s about things like understanding how when you shift your weight a little to trim your kayak, it subtly changes the effective hull shape in the water. Some maneuvers become more efficient with this alternative hull presentation, so you need less power to make the same maneuver. 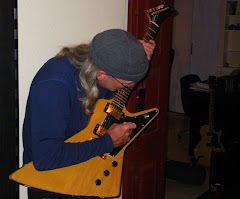 You can fine-tune your skills more effectively if you not only know how to do it but also why. 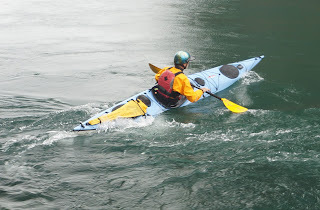 Basic science can explain why in some kayaks it doesn’t seem to make any difference whether you edge into a turn or edge away from it, both seem equally effective, while in some other kayaks you can clearly turn more quickly when edged into a turn, or in others most quickly when edged from a turn. It will also explain why you can turn some kayaks more rapidly while reversing than when you are paddling forward. 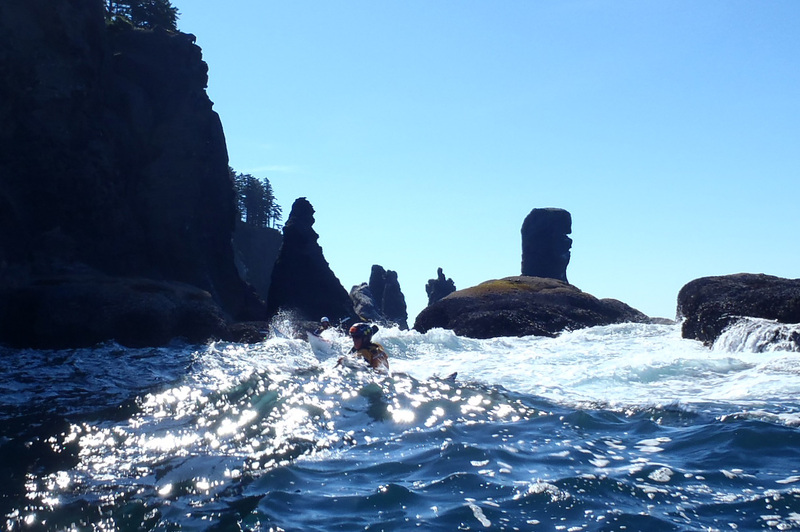 It’s a good idea to hone the effectiveness of your paddling skills on flat water where you can focus on mastering the details even if your normal playground is far from flat. 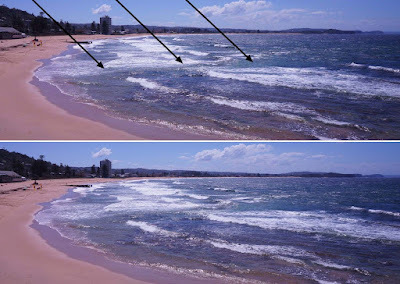 It is easier to compare the effect of every nuance once you eliminate the variables of wind, current and waves. With control strokes, begin with the blade close to or in a neutral position, engaging the blade gradually and only as much as you need. After paying attention to the details, the next phase is to add those variables, wind, waves and current one at a time, so you can see how each affects the moves you have practiced on the flat. 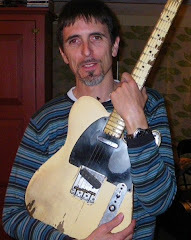 Practice in wind without waves for example. 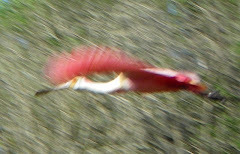 Now you’ll see how one technique for turning will become far more effective for turning from the wind than another that works best for turning toward the wind. 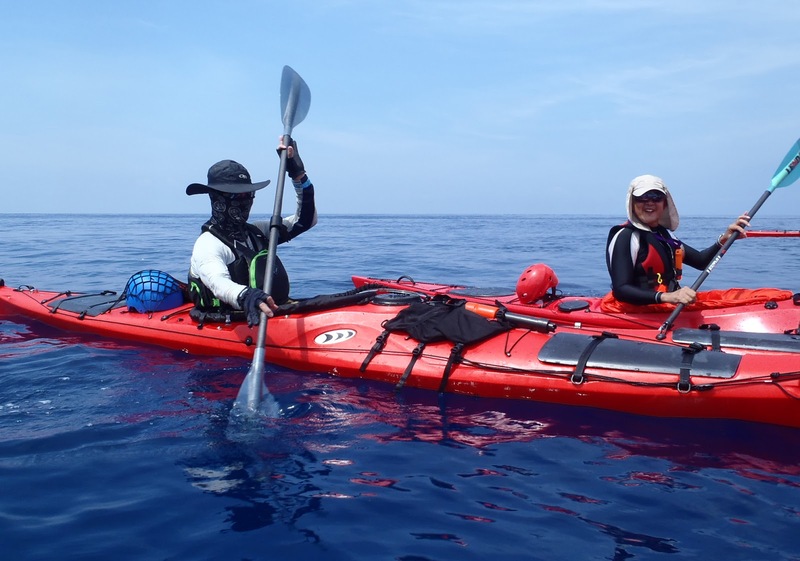 When you understand how to get the most effective performance from your kayak in wind alone, or in waves or current alone, then the next step is to combine them, wind and waves together, or all three. Your paddling can become smooth, efficient and effective without you understanding the science behind it. You can still become an artist on the water. But if you question why one move works better than another in a particular situation and understand the reasons behind each effect, then you’ll be able to push your skills into new realms of efficiency. You’ll use the wind, current and waves to your advantage instead of fighting against them. I’ll leave you with three questions. Revisit one of them when you next paddle. 1) Can I improve the efficiency of my body movement for power? For example, can I use my torso more and my arms less? Am I using my legs and feet? 2) How much do I move water with my paddle, and when do I do this most? 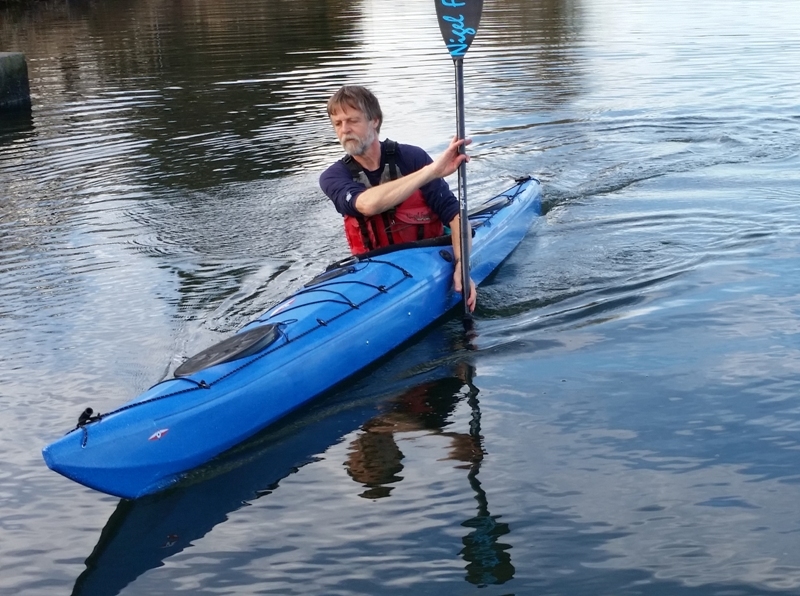 Can I reduce this, maybe by slowing my paddle stroke a little, or by adjusting the path of my paddle? 3) Am I working against the waves, wind, and current, or working with? If I can identify a particular situation when I have to work harder than I would like, can I find a way to use less effort in this situation? 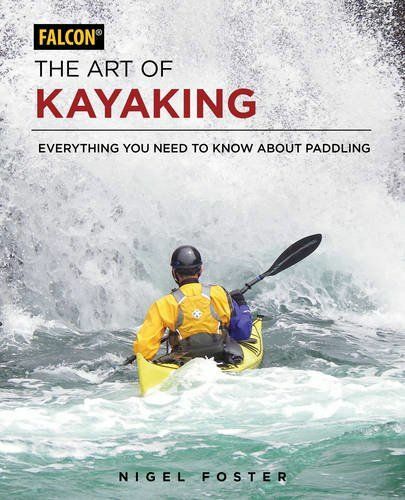 My new book The Art of Kayaking offers a lot of detail for the inquisitive paddler, explained in a way that is easy to understand. It describes in detail the basic paddle and kayak skills, and then focuses their use toward different rough-water environments. The goal is to achieve more effect with less effort. You’ll also find help for trip planning with weather, charts, buoyage and safety. 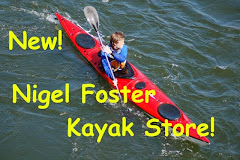 Find The Art of Kayaking at store.nigelkayaks.com, (there is a signed copy option) Or support your local bookstore, or order on-line, perhaps at Amazon or Book Depository. 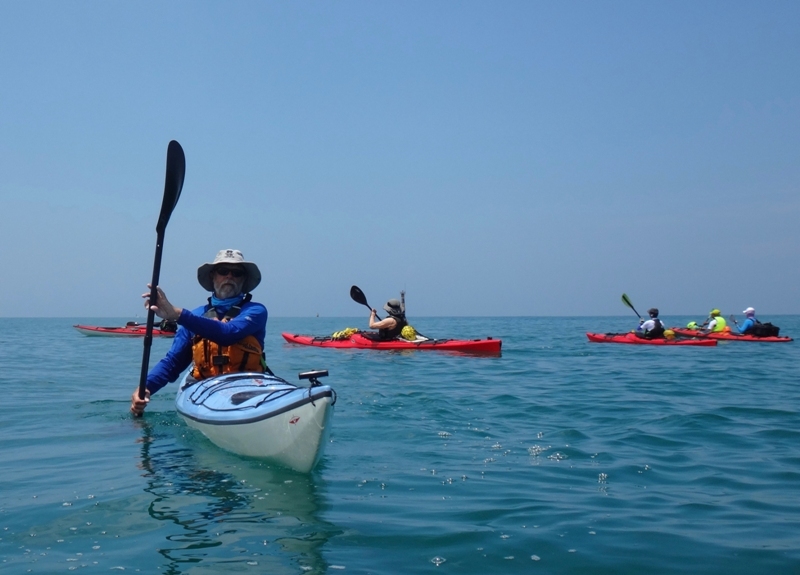 Interested in joining a class to learn more on the water? Please contact me through my web-site www.nigelkayaks.com.